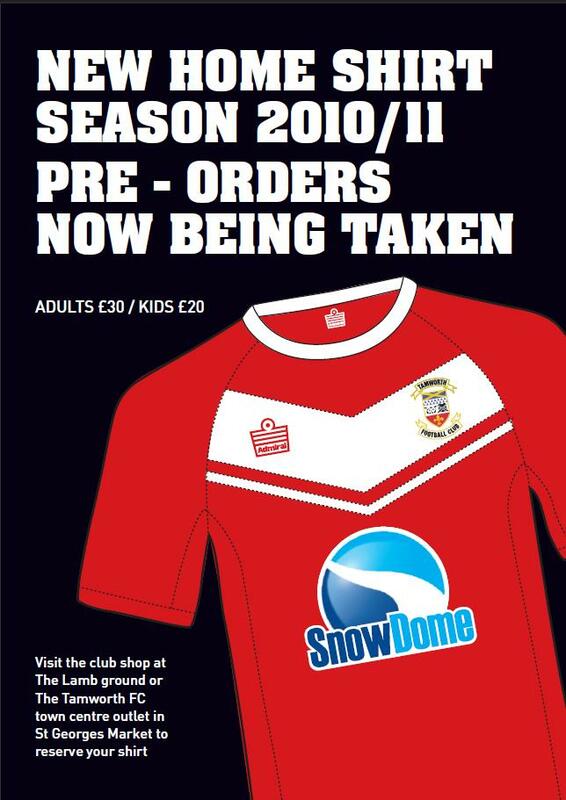 Tamworth Football Club are proud to launch the 2010/11 season home shirt, sponsored by the Snow Dome. Demand was extremely high for last years home shirt, so we recommend pre-ordering your shirt. Pre-orders are being taken at the TFC Office, from the supporters club (Dave Brown & Julie Pegg), and from the TFC town centre outlet in St. Georges Market.